Parasites in dogs are very common. Even the cleanest and best kept dog will get fleas and worms occasionally. Fortunately you’ll find plenty of resources here to help you banish them fast. 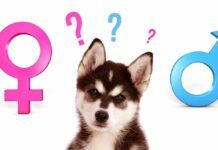 On our website you will find several helpful articles on dog and puppy parasites. 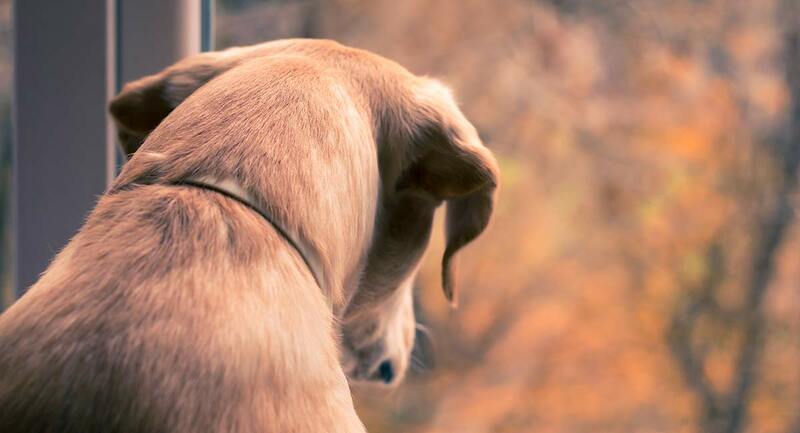 We will give you tips on spotting the signs and symptoms of parasites in your dog, treating them, and preventing parasites from making your best friend unwell in the first place. Parasites are ‘charming’ little creatures that live inside or cling to the outside, of other creatures. External parasites are usually found hiding amongst their fur or living in their ears. Internal parasites are usually found in the intestines. They can also occupy the heart, lungs and liver. 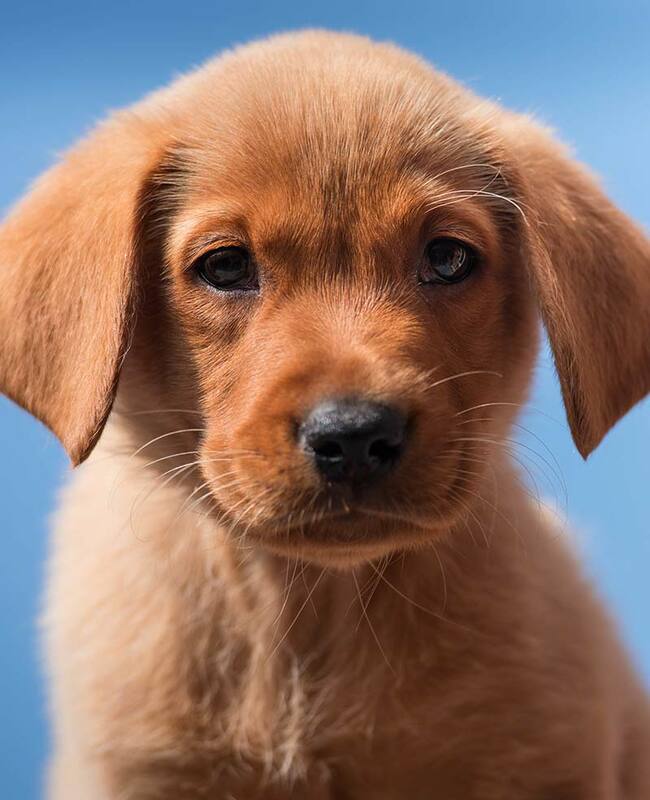 Labradors are susceptible to a range of common parasites, as are all breeds of domestic dog. Below we will give a brief summary of the common parasites in dogs. We’ll also run through the symptoms that these nasty visitors can cause. You can use the links in each section to find more detailed information. Ear mites are tiny spider like organisms set up home inside a dog’s ears. They are only just big enough to be seen with the naked eye, and are difficult to spot. Once they’ve set up home, these spider-like critters irritate the ear canal. A dog with ear mites will be itchy and uncomfortable. Dogs with ear mites may shake their head, flap their ears, rub them on the ground, or scratch them with a back foot. This can also open this sensitive area up to additional infections. Worms are by far the most common parasite in dog’s intestines. And probably the one that we find the most gross. Other organisms , such as protozoa, can also set up home in your dog’s intestines. But let’s look at worms first! These creepy crawlies come in several forms, loosely divided in to round worms and flat worms. The eggs of these puppy parasites find their way into a puppies intestines and hatch. The larvae then spread to the lungs through the blood and are coughed up. The puppy will usually eat these larvae. This lands them back in the intestine to develop and produce eggs. These eggs usually number in the hundreds of thousands. Making a puppy with worms very infectious. Any other puppy that comes into contact with him is seriously at risk of catching worms. Interestingly, in full grown dogs roundworms don’t pose a huge risk. Adult dogs system’s are hostile to these parasites. Flatworms are a diverse group of animals. The most well known member to affect our dogs is the tapeworm. A tapeworm finds its way into your dog’s system as an egg. These eggs are often found in fleas, which your dog may eat while grooming. The Egg then hatches and grows into and egg producing adult. Each adult grows eggs as segments in a long sequence. Undeterred they keep growing and growing. Tapeworms can affect dogs at any age. In fact, almost all mammals are susceptible to this parasite, though many tapeworms are specific to a particular animal and unlike puppy roundworms, dog tapeworms don’t usually affect people. 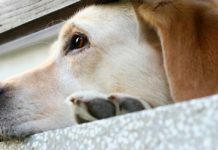 Many dogs can carry a moderate burden of tapeworms without showing symptoms, but if left untreated sufficient tapeworms cause malnutrition by stealing your dog’s food supply as it passes through. Some of the other intestinal parasites that prey on dogs are less well known. Protozoa are single celled organisms found all over the world. Most are harmless, but a few are quite dangerous to our dogs. These tiny microbes are responsible for three main conditions in dogs. These are amebiasis coccidiosis, and giardiasis. Amebiasis is caused by the Amoeba, entamoeba histolytica. This organism often lives in the large intestine of dogs without causing any trouble. If it gets into the intestinal lining, it can start to cause trouble. Coccidiosis is another protozoan infection. Similar to amebiasis, it often causes diarrhea and bleeding. This infection is not usually any risk to healthy dogs. 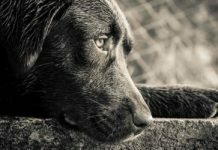 Healthy dogs and puppies are rarely vulnerable to this disease. If an infected puppy or dog lacks adequate nutrition, or has a suppressed immune system, then the dog may become sick with coccidiosis. It’s rarely fatal, and usually resolves itself in a few weeks. Medicine can be used to prevent reinfection. Always consult your vet about diarrhea in your dog that lasts more than a day or two, and talk to your vet straight away if your dog had diarhea with blood in it. Giardiasis is slightly different. These protozoa live in the small intestine. They then cause cysts that detach and appear in the dogs feces. Remember – contact your vet if your dog has persistent diarhea – these are conditions that need treating by a medical professional. And if you suspect your dog has an infection of any kind, it’s important to see a vet. Parasites that live on the outside of your dog may give their presence away. Either because you can see them, or because they cause the dogs to scratch, or cause skin troubles. Ticks are small blood sucking creatures, related to spiders and mites! They attach onto their host and drink his blood. If not removed, they will stay on your dog for up to a week before dropping off. Hungry ticks are hard to spot, but when they have had a blood feed their body swells immensely and looks like a small bean nestling in your dog’s fur. Ticks can spread deadly diseases. In its life, a tick will feed on many different animals. Microbes from the last animal it fed on can end up in it’s next victims bloodstream. This isn’t just a risk to our dogs. Dangerous diseases such as Lymes disease can also be spread by ticks to humans. Even without disease, ticks still release toxins into your dog’s bloodstream. 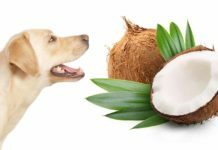 This can cause damage, and might leave your pooch feeling rough. Removing a tick the wrong way, with chemicals or heat for example, can cause the tick to regurgitate it’s stomach contents into your dog! 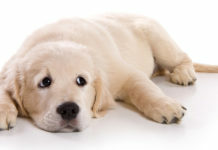 Fleas are a common problem for pet parents to contend with. They are tiny external parasites that live in your home and hop onto your dog for a feed. Fleas drink your pets blood. And lay eggs in your home, the eggs can remain dormant for a long time and then hatch out when the conditions are right. They are hard to eradicate and are one of the most successful and widespread parasites that we have to contend with. The feeding habits of fleas can irritate the skin. It’s even worse if your dog’s allergic to fleas. A dog with a flea allergy may lose large patches of hair and develop sore, weeping spots on their body with alarming speed. Not only do the habits of fleas themselves cause unpleasant symptoms to your pet, they can also cause unpleasant reactions in people. Some of the parasites above are so common, intestinal worms and fleas for example, that routine preventative treatment is the best course of action. The method you’ll use will differ with the individual parasite. You may even have some options on how best to protect your dog. Other parasites need treating only when symptoms arise or an infection is suspected. 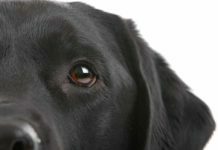 By clicking on the links and visiting the relevant articles above, you can learn how best to help your Labrador to stay fit and healthy in the face of these common parasites. 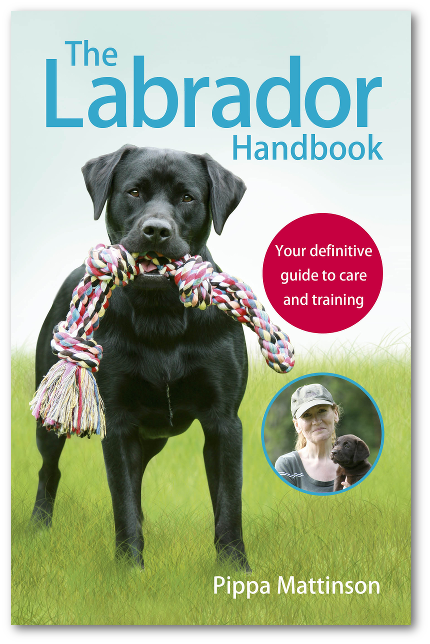 Parasites in dogs is part of our series on Labrador Health. Knowledge is our most important tool in the fight against parasites. We are always interested to hear of your own experiences or to receive suggestions for further articles for our health section. Don’t forget, any canine health information on this or other websites should be used in conjunction with advice from your vet.